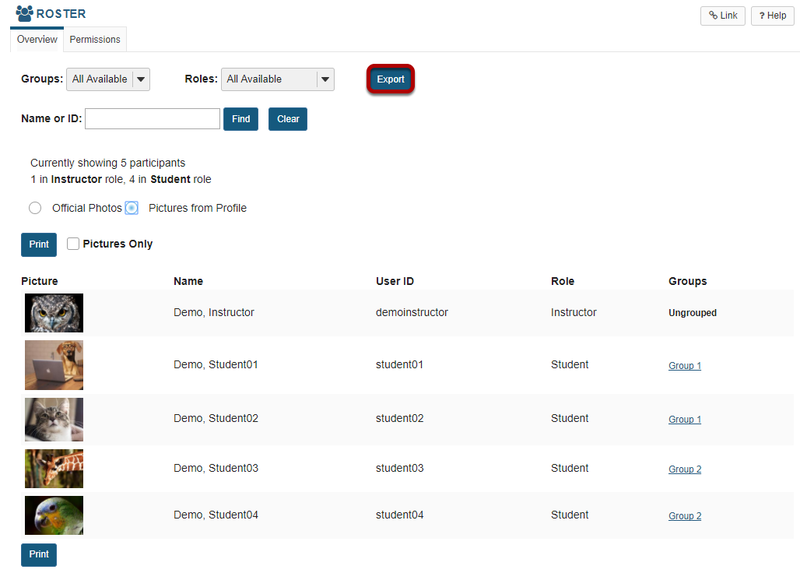 Sakai Community DocumentationSakai 19 User Guide (English) RosterHow do I export the roster? The list of users enrolled in the site will be downloaded in Excel format. Prev: How do I view/search the roster? Next: How do I view roster photos and/or profiles?